This article was originally published by IPI Global Observatory on 27 February 2018. In discussions of Mali’s chronic problems, one factor tends to be overlooked: organized crime. Illicit activities have a long tradition in remote areas across the Sahel. Mali’s vast north, an area larger than France, is sparsely populated, and historically marginalized by the Malian state. Many people survive by smuggling items like subsidized food or cigarettes. Criminal rents are how people make a living in the marginalized north, but have also funded a myriad of armed groups and corruption networks. Efforts by international actors like the United Nations Multidimensional Integrated Stabilization Mission (MINUSMA), or by regional alliances like the G5 Sahel, increasingly recognize the threat organized crime poses to regional security, governance, and economic development. But why have their efforts fallen short? Since the early 2000s, kidnapping for ransom, the smuggling of migrants, and the trafficking of South American cocaine across the Sahara have vastly increased criminal rents for armed groups. Organized crime thus contributed to some extent to events in 2012, when, triggered by the Libyan revolution and the return of Tuareg mercenaries, a well-equipped and well-funded alliance of separatists and Islamists conquered more than half of Mali. Meanwhile, the military—dissatisfied with defeats and a lack of support by a corrupt elite—toppled the government in the capital. The Algiers Accord, forged in 2015, ostensibly settled the political conflict. While crime was not a topic of the negotiations, the accord committed parties to combat organized crime, yet without guidance on how to achieve that. To this day, illicit activities undermine the fragile peace agreement, as some instances of fighting, particularly in the Kidal and Gao regions, can be attributed to turf wars over lucrative trafficking routes. Dividing lines between separatist, Islamist, and criminal groups are blurred, and alignments, as well as commitment to the peace agreement, shift. Organized crime helps fund most armed groups through direct involvement, taxation, or protection rackets. As arms are widely available and the government struggles to provide basic security or to gain access to remote areas, banditry has also increased across northern and central Mali. In economic terms, criminal rents dwarf development aid, and they can distort markets for land, cattle, or even marriage when they are reinserted in the economy. Socially, crime has further contributed to the erosion of traditional hierarchies in northern communities, as the most lucrative businesses involve members of the northern elite forging ties with corrupt security services and the political elite in the south to share the profits. Traditional authorities like religious or tribal leaders were increasingly sidelined by the new elites the illicit economy produces. Their profits can lure particularly young men into joining armed groups. Similarly, efforts towards Disarmament, Demobilization and Reintegration (DDR)—still at an early stage, as implementation of the peace agreement is slow and marred by mistrust and insecurity—will likely be exploited by criminal groups recruiting experienced fighters, and is unlikely to succeed when competing with a lucrative criminal economy to begin with. Renewed attempts for Security Sector Reform (SSR) in Mali promise complementary approaches to make security forces more effective, more accountable, and reduce grievances among communities suffering from their heavy-handed approach. However, Mali’s security forces, and any attempts at reform, are undermined by persisting corruption networks, some linked to organized crime. Overall, organized crime thus is more than a security threat: it inhibits licit economic development in the north, creates new societal fault lines, erodes traditional governance, and constrains the return of the Malian state to the north. Acknowledging these challenges, the mandate of MINUSMA—deployed in July 2013 and currently at around 15,000 personnel—makes direct references to limiting organized crime (about half of UN peacekeeping missions mention organized crime as a threat to various extents). There is, however, little clarity on how exactly to implement that aspect of the mandate. One measure was to introduce novel intelligence analysis units, originally in the form of the All Sources Information Fusion Unit (ASIFU), based on NATO doctrine. These intelligence tools are currently combined in the U2 intelligence cell at the force headquarters level, after tensions and issues of delimitation between previous units. Such cells, fed by surveillance in the field, human intelligence, and open source information, are crucial to dealing with threats like organized crime at both operational and strategic levels. The UN further formed a police unit specifically to counter organized crime and terrorism in 2016. The small unit is mainly tasked with supporting Malian law enforcement to that end. Two paramount objectives, however, trump engaging organized crime: the need for self-protection of MINUSMA, the deadliest ongoing UN peacekeeping mission, and combating violent extremist groups. Furthermore, MINUSMA’s novel tools are not yet ideally designed and embedded. The flow of information with infantry units on the ground, headquarters in New York, as well as with some troop contributing states, is inadequate. The sharing of information between MINUSMA intelligence and France’s Operation Barkhane, meanwhile, risked MINUSMA being seen as party to the conflict, as the French were actively engaged in combating certain armed groups. Despite an array of technical assets European participants have assembled, the gathering of human intelligence—which is crucial to understanding the local political economy, to facing the sophistication of organized crime groups, and to fully interpreting intelligence gathered by technical means—is severely hampered due to constraints of language skills, safety, and access to areas most affected by organized crime. The G5 Sahel joint force, a multinational regional force of 5,000 troops and police, is due to reach full capacity by spring this year, and is an initiative with a more explicit aim of combatting organized crime across the Sahel. It is, however, a military tool for a multifaceted problem that includes complicit elements of the Malian state and security forces. Issues related to the enormous criminal profits have received some political attention domestically as well, particularly as organized crime feeds into a system already characterized by weak and informal governance, thus further undermining the legitimacy of the state. President Ibrahim Boubacar Keïta, who was elected in 2013 after the coup, had promised to fight corruption, which is to some extent fueled by criminal groups bribing officials at all levels. Today, discontent with Keïta’s leadership, rampant nepotism, and rising insecurity in northern and central Mali is rife. Corruption, and to a lesser extent the increase in crime, will thus be major political issues in the upcoming regional, parliamentary, and presidential elections, all scheduled for 2018. 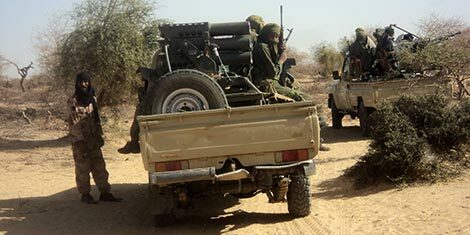 The prospects of fighting organized crime in Mali and throughout the region look bleak in the short and medium term. Any solution will have to address security issues as much as socio-economic and political ones, which includes the provision of basic goods, services, and livelihoods to marginalized communities, increasing transparency and effectiveness of governance, and severing ties between corrupt officials and criminal groups. The international community engaging the Sahel should take this into account and reconsider strict security-first approaches or the uncritical backing of a corrupt, albeit democratically elected government. Furthermore, the challenges are transnational, whereas most of the tools to fight them are constrained by national borders. Goods and people are trafficked through Mali and the Sahel as part of an adaptable global supply chain, from the source of cocaine in South America, or from the origin of migrants in sub-Saharan Africa to their destination in Europe or the Middle East. Policies should try to address arising security, economic, societal, or health issues at the various stages along the route, and in a regional manner. The UN Office on Drugs and Crime’s (UNODC) West Coast Initiative could be a model case. The UN and Western donors engaged in Mali should foster cooperation across missions, strengthen socio-economic and political approaches, and keep developing their innovative intelligence tools and information sharing to tackle organized crime. MINUSMA should be given a more explicit mandate that includes analyzing organized crime. In 2017, the UN’s Panel of Experts of the Sanctions Committee was created and tasked with identifying individuals who are in violation of the peace agreement for sanctions, including links to organized crime in that regard. This institution, however, has a limited mandate and little resources. Engaging regional offices and their expertise in conjunction with UNODC, while establishing a more effective pooling and sharing of information and clear divisions of labor, could be paths to follow. Currently, expertise may be employed on an operational level, yet insights, particularly political, developmental, and societal ones beyond the security approach, lack influence at the strategic level and headquarters. Such measures would help bridge the gap between acknowledging organized crime as a threat, and the lack of specific mandates and operational approaches to combat it. In its cooperation with local security forces, the international community should use its leverage and ramp up crime-related training, reinforce transparency in the management and recruitment of local security services, safeguard SSR and DDR programs as well as elections from criminal influence, and make sure crime is a topic in the implementation of the peace agreement. The Malian electorate and civil society—e.g., media, women’s groups, and representatives of local communities and traditional authority—can be expected to share the international community’s aim of fighting against crime and corruption, and should be supported to that end. Benno Zogg is a Researcher at the Center for Security Studies at ETH Zurich, where he focuses on development and security in fragile states as well as on the post-Soviet space.